This is a follow up to Oilershockey’s Top 10 Draft Rankings – April to list the players I’ve ranked from 11 – 20 for the upcoming NHL draft. Kupari is a strong skilled skater with an above average shot. While his NHLE number doesn’t look great we need to be aware that Kupari’s minutes were limited after being called up and he did have a strong performance at the U18 tournament picking up 7 points in 4 games. This entry was posted in Draft, Management and tagged 2018 NHL Draft on April 12, 2018 by jtunnicliff. When the season started I really didn’t expect to be thinking about who the Oilers would be picking at the draft come april but here we are. The Oilers will be picking somewhere in the top 10 so I’ve done some research and have come up with the first ever Oilerhockey top 10 draft rankings. 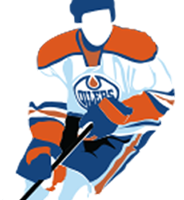 This entry was posted in Draft and tagged 2018 NHL Draft, Oilers, Rasmus Dahlin on April 7, 2018 by jtunnicliff.